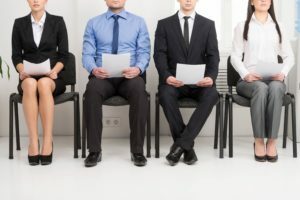 TOP 10 Cashier Interview Questions in 2019 - Ready to answer them? There are many job openings for this position, and you won’t compete with more than one or two other people for the job (you will actually often be the only applicant, especially when we talk about interviews in small retail stores). You can get this job regardless of your previous experience and education. It is actually one of the most common jobs for high school students, or for people who were not lucky enough to graduate from the high school. All you have to do to succeed is convincing your interviewers of your motivation, responsibility, and readiness for the job. Do not worry if you have never done the same work before–you will get a training before you start working. Let’s have a look at the questions. Why do you think you can be a good cashier? Say that you are responsible, do not mind routine work, and will learn the job quickly. If you had the same position before you can emphasize that you enjoyed it, and can handle the cash counter with a good speed. If a customer accused you of bad customer service, what would you do? Say that you count with such a behavior. Say that you always try your best, and listen attentively to the feedback from the customers. At the same time, however, you would not let any negative remarks to affect you emotionally in work. Are you ready to handle angry people? If a supervisor asked you to change the way your job was performed even though you knew you were doing it right, what would you do? You should respect the hierarchy. It is the duty of the supervisor the consider the quality of your work, and to tell you how to do it. They will be responsible for any negative effects, not you. Say that you would follow their orders. This job is repetitive. Tell me how you will find a motivation to do it well. Say that you do not mind repetitive work, that you actually enjoy it. You can even say that customers change every day, that you enjoy the small chit-chat you’ll have with them while performing your job, and won’t get bored in work. Or you can go with any other reason that helps you to maintain your motivation and focus. Describe a situation when you found it hard to be courteous. Perhaps you didn’t like some customer, or someone was really rude with you, or had stupid remarks. It is completely natural to find it hard to be courteous in such a situation. But you should say that you still tried your best, since it is important to maintain a good level of customer satisfaction. If you receive a 20 dollar bill for a $3.71 order, explain how you would add up the change. A simple question, but you should not take it lightly. Calculate the coins, and always try to use the lowest possible number of coins. This helps with the speed of work. Tell us something about yourself. This can actually be the very first question you get. Try to focus on relevant things, such as your experience with similar jobs, or your strengths and abilities that make from you a good applicant for the position of a cashier. You can add one or two hobbies to the mix, just to show them that you have a life outside of work. How long do you want to have this position? While employers do not expect you to have a role of a cashier for several years, they still prefer to hire people who are serious about the job, and won’t leave in three months time. You can say that you do not have any plans to change your job once you get it, and will see what the future will bring. Alternatively you can elaborate on your answer, saying why you’d keep the job longer. Perhaps you want to have a part-time cashier job during your studies, which you plan to continue for the next three years. What do you consider the most difficult thing about this job? Perhaps the routine, or dealing with a heavy workload (in a high-time), or staying courteous with angry or stupid customers. You should show the interviewers that you see the job realistically, with both good and bad things that belong to it. How do you imagine a typical day in work? Show them that you like to be busy in work. Do not mention many working breaks, or other things that will distract you from your job. You can even say that when there won’t be any customers to serve, you will help to stock the goods or do other stuff in the store. If you apply for a cashier job in a small store, they will likely ask you only a few questions about your motivation, availability, and experience. The people talking to you won’t be professional interviewers (store owner or manager will lead an interview with you), and if you make a good impression on them, they will hire you. Use our hints to learn how to answer the common questions. If you apply in a big store, however, such as Walmart, you can expect to deal with some behavioral questions, and perhaps also with a personality test. These companies run specialized HR departments, they know how to conduct interviews, and typically more people apply for the jobs with them. The competition is higher, and you will have to do well to actually get a job with them…. To understand better how it works in a big store, and what questions they will ask you, you can have a loot at Walmart Interview Guide from Jacob Gates, one of our guest authors. Jacob specializes in helping people to get a job with Walmart, and the people who follow his guidance report a lot of success. Phone interview tips – Learn how to make a good impression on the phone, and how to answer the most common questions employers use while interviewing you over the phone. What job is right for me? – Starting your professional career? Deciding about your studies? Or feeling unhappy in your present occupation? The article should help you to find your true calling in life.